Every time one drinks a sip of wine one gets closer to a land, its history and its culture. In the wake of these stories, today we introduce our products. They impart an echo of history, of the many who, like Ulysses, ploughed the “wine-colored sea” and landed on our shores. 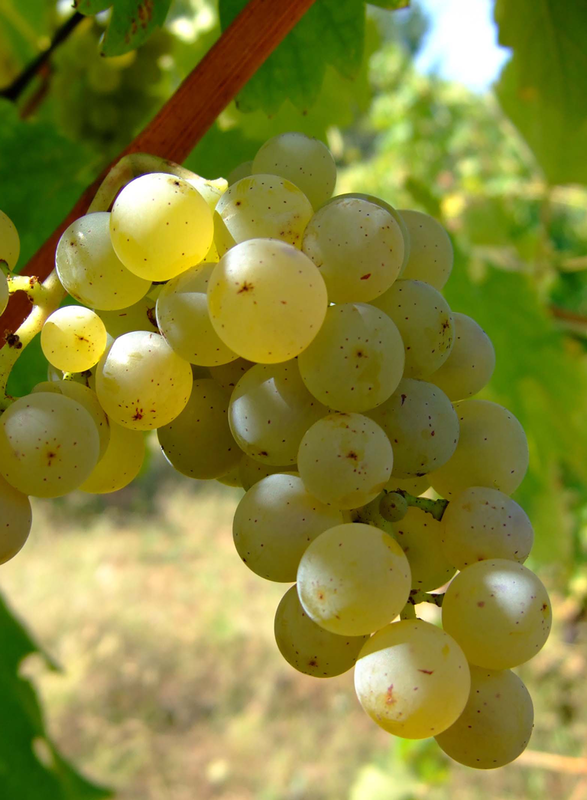 It is a white wine grape, with two different varieties: common and glimmer, catarratto grows in Sicily exclusively, being the third most common grape in Italy and one of the most cultivated in the whole world. Hills wines, as this one, have a good and elegant acidity. Enological research and accurate vineyard techniques are making Catarratto a product appreciated in foreign country as well as in Italy. The harvesting period is around the second half of August and the first of September, depending on the altitude. excellent also as an aperitif with appetizers. Serving temperature: 10/11 °C; 50/52 °F. Is a red grape cultivated early in Sicily only, but it has also been grown of late in California, Australia, Turkey, Malta, South Africa. Nero d’Avola is a quintessential of the Mediterranean’s red grape: soft, warm, with a strong and elegant personality; one can feel the scents of the fields and the ray of the sun. The name means the black grape of Avola (Avola being a small town near to Siracusa) where today are made products of excellent quality. Giacomo Tachis, famous winemaker from Piedmont, says that Nero d’Avola is the king of island grapes and, in effect, is not only the most well-known but is also the grape that started the revitalization of Sicily’s enology. Great ageing potential. It is a very versatile grape and one can use it blended, especially with Syrah, or for varietals wines. When cultivated to yield a low quantity of fruit per vine it gives very round tannins. The color changes from vineyard to vineyard, from purple red to intense ruby. 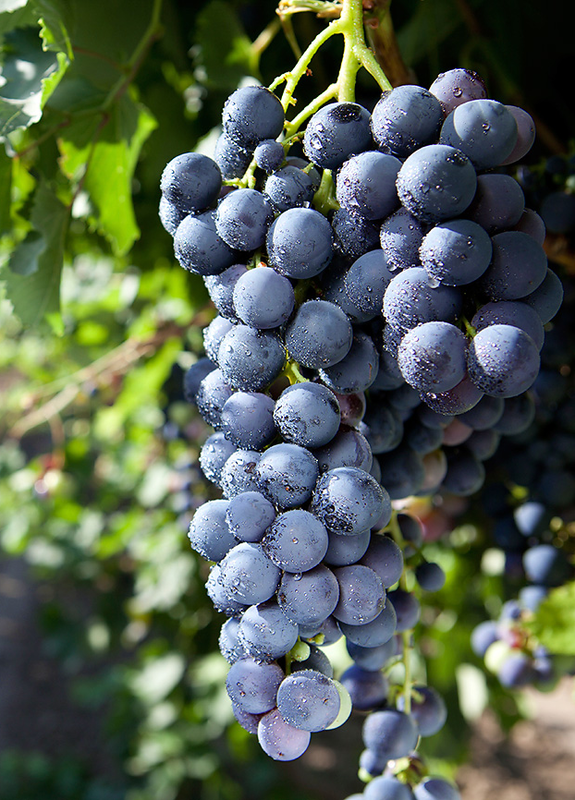 Nero d’Avola could offers aromas of ripe blueberries, blackberries, chocolate, coffee and violets. Chinese cuisine: Peking duck (canard laqué). Serving temperature: 15-18 °C / 59-64 °F. Syrah wines are frequently full-bodied with a rather powerful flavor. This variety produces wines with a wide range of flavor notes, depending on climate and different styles of cultivation. It probably comes from Egypt and from there was probably brought to Siracusa, but some people think that Syrah comes from the old city of Shiraz, Iran today. Due to its adaptability, Syrah is cultivated both in cold and warm climate. In Sicily, it founds an excellent pedoclimate, and so became the second most cultivated red grape and the wines are round and dense. Our Syrah offers notes of ripe berries, red fruits and black pepper, sometimes with hints of licorice. Soft tannins. Syrah is often vinified on its own, but is also frequently blended with other grape varieties, such as Nero d’Avola. Grilled meats and mature cheeses. Serving temperature: 16 °C / 60 °F.